Arsenal have reportedly ended their attempts to sign Ivan Perisic and Yannick Carrasco after failing to convince Inter Milan and Dalian Yifang respectively with their loan bids. 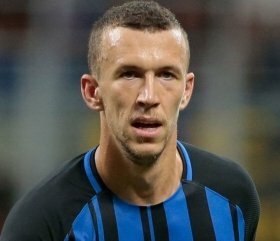 Perisic had been earmarked as the prime target to reinforce the wide positions before the transfer deadline but the club seem to have reached a roadblock with Inter, who have been reluctant to negotiate. According to BBC Sport, the Gunners had proposed to sign the attacker on loan with the option to buy in the summer but the Serie A side turned down their advances as they wanted an obligatory clause inserted instead. Meanwhile, the north London side are said to have agreed on the contractual terms with Carrasco regarding a temporary move but they could not convince Yifang in agreeing upon the loan package. Despite the setbacks, Arsenal have made one signing during the winter transfer window with midfielder Denis Suarez joining them from Barcelona on an initial loan deal.